Essay by Cheryl Lai. Foreword by Sarina Yeh. These Taiwanese wedding pictures are not the celebratory nuptial norm that are the bread and butter of photographers everywhere, but rather ajaundiced look at the institution and the industry of marriage. A couple is caught in a net of spray-string confetti; a bride poses among ruins; a chain of wedding couples kisses in a zoo with caged elephants behind them; and a post- nuptial couple, in all their Western finery, sleep soundly, and separately, in the back of a limousine. 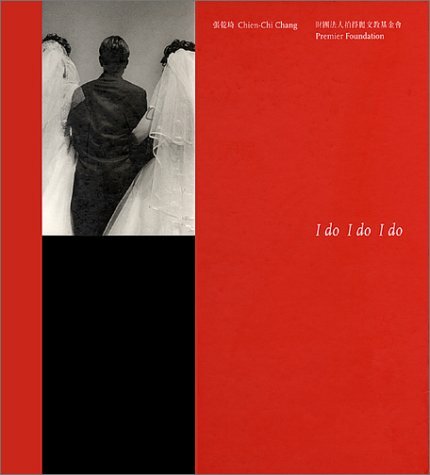 I do, I do, l do reveals conflicts that the artist, a 41-year-old unwed man with three younger sisters and no brothers, feels about the notion of marriage and all the traditional family pressures that it entails. Born in a farming village in Taiwan in 1961, Magnum photographer Chien-Chi Chang's photographs have been published in The New York Times Magazine, The New Yorker, Time, National Geographic, DerSpiegel, and Figaro. In 1999, he was the recipient of both the Magazine Photographer of the Year award and the World Press Photo's first place award.